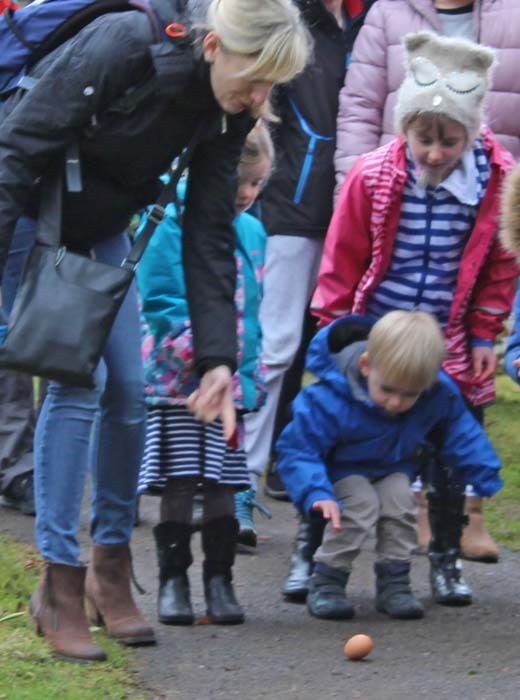 The Easter Sunday service at St Andrew’s Church, Aysgarth has become a great family favourite and this year there was lots of fun for the children – and a special farewell to organist Richard Wilkinson. 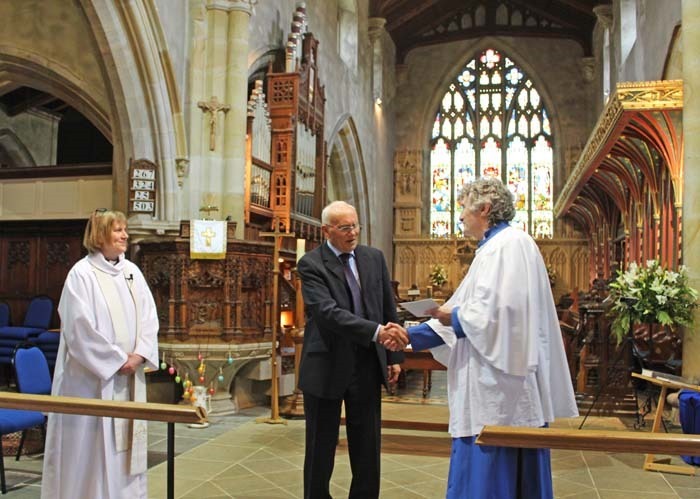 He has been the organist for 20 years and many contributed to the farewell gift which was presented to him by John Foster (above – L to R, Rev Yeadon, Richard and John) . Members of Aysgarth Methodist chapel were at the service because Dr Wilkinson has been a local preacher in the Methodist circuit since 1987. There were also many families because of the special Easter activities for children. They and the adults thoroughly enjoyed the Rev Penny Yeadon’s talk in which she used, with the help of some of the youngsters, Easter eggs to explain the Easter story and the importance of Christ’s resurrection. Then the children had gone into the Lady Chapel to paint hard-boiled eggs and create their own miniature gardens. Some members of the church had certainly put a lot of work into making it a fun service. 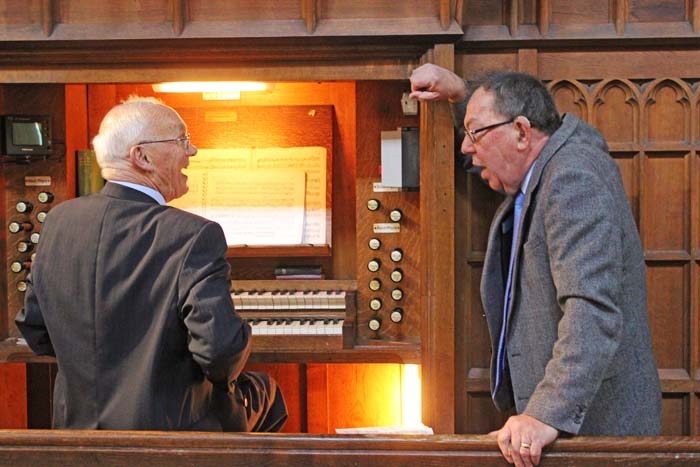 When it ended everyone accepted the Rev Yeadon’s invitation to sit and listen to Richard play the Chorale Improvisation for Organ No 65 by Siegfried Karg-Elert: Nun danket alle Gott (Now thank we all our God). He was warmly applauded – and then the children with their parents and grandparents went outside to enjoy rolling the eggs they had decorated. Later Richard (who never accepted payment as an organist) said: “I would have very gladly paid the church for the privilege of playing at St Andrew’s because it’s a marvellous organ and they are super people there. I love playing at the services. The organ was installed in 1880 by M Abbot of Leeds from a design by J M Bottomley of Middlesbrough. Richard will be playing at a few more services at St Andrew’s before he and his wife, Ann, move to Warwickshire on June 1. Geoff Hirst is now the chief organist at St Andrew’s.